What Procedures Should General Dentists Accomplish? Second opinions are common in health care; whether a doctor is sorting out a difficult case or a patient is not sure what to do next. In the context of our magazine, the first opinion will always belong to the reader. This feature will allow fellow dentists to share their opinions on various topics, providing you with a “Second Opinion.” Perhaps some of these dentists’ observations will change your mind; while others will solidify your position. In the end, our goal is to create discussion and debate to enrich our profession. The recent controversy between general dentists’ views and the published Academy of Periodontology definitions concerning the procedures that should be accomplished by periodontal specialists has prompted me to express my opinions on the subject.1 I am sure that the periodontal specialists writing the guidelines had the welfare of patients as their primary goal when writing them. This editorial is not intended to be critical of the apparent views of the periodontal specialty but to publicly express my own experiences and thoughts on this subject, as developed through many years of practice. An analogy related to my editorial follows: Usually, university campuses are built with carefully placed sidewalks between buildings or identified segments of the campus. However, after a few months of use, new pathways are formed on lawns or in other areas originally planned to be non-use areas. Such is the case with the dental specialties. After observing the actual involvement of general dentists in the procedures usually considered in the domain of the specialties, it soon becomes apparent that in most of the dental specialties, only a few clinical procedures are routinely excluded from general practice. I will discuss my views regarding the involvement of general dentists in each of the seven ADA-recognized clinical dental specialties and my views as observed in the United States. 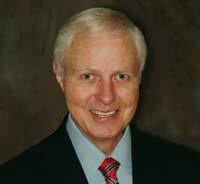 I will also describe the procedures that I see accomplished by general dentists in each area of specialty practice. Almost every general practice includes endodontic treatment of single-rooted teeth and apparently uncomplicated treatment of two-canal teeth. Fewer general dentists treat molar teeth or teeth requiring re-treatment. Many general practitioners accomplish apicoectomies. What is left for endodontists? Endodontists are involved with the few single-rooted teeth referred by general practitioners (GPs) who do not include any endodontic therapy in their practices, difficult appearing multi-rooted teeth, and surgical procedures. It appears that all of the procedures in endodontics are accomplished by at least some general dentists. Because of the recent definition of this area as a specialty, all of the oral radiology procedures were previously accomplished by general dentists who were interested in the subject or specialists in other recognized specialties. Almost all dentists have their own radiographic devices for periapical and bitewing radiographs, and most have panoramic radiography devices. Cephalometric, tomographic and cone radiology usually are not accomplished by general dentists. Oral and maxillofacial radiology is accomplished primarily by general dentists or specialists in other areas. Only a few procedures in this area remain the exclusive domain of specialists, but I predict that will change as the specialty develops further. Almost every general dentist extracts teeth. Many remove impacted teeth and accomplish simple hard- and soft-tissue surgical procedures. What procedures are left for oral surgeons? Specialists remove impacted teeth as a primary revenue producer, routine extractions referred by general dentists not interested in surgery, and other more complex oral surgical procedures. Oral surgeons are involved with surgical and diagnostic procedures for chronically ill patients, some of whom require hospital care. A significant portion of this area remains as the exclusive domain of specialists. This specialty has remained as one where most of the procedures are accomplished by specialists. Whether or not this orientation is a legitimate one has long been debated. New techniques such as Invisalign (Align Technologies, Santa Clara, California) have stimulated many general dentists into accomplishing some orthodontic procedures, but there is significant controversy about this involvement. Are the arguments warranted, or simply “turf battles?” That is for specialists and GPs to decide together. In the meantime, the majority of orthodontic therapy is accomplished primarily by specialists. This area is included to some degree in almost every general practice. However, some GPs do not like to handle the behavior challenges of children and refer them to pediatric dentists for that reason. 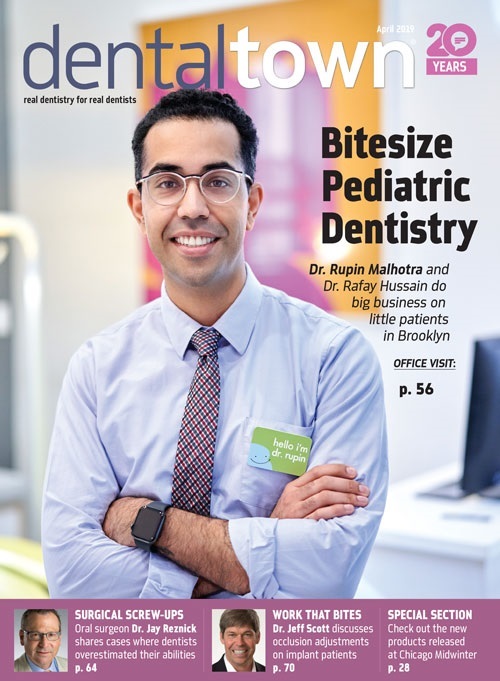 Most of the technical procedures in pediatric dentistry are well recognized to be within the realm of GPs, but the growth and development questions, and systemic disease challenges often stimulate referrals to specialists. Pediatric dentistry is accomplished mostly by GPs. I have polled several large continuing-education audiences containing mostly GPs about the amount of periodontal therapy they accomplish. It is noteworthy that almost none of them accomplish periodontal surgery. This is a strange finding since periodontal therapy is taught well in almost all dental schools. Why is most periodontal therapy that is referred to periodontists not done, or done in a conservative way by dental hygienists? There appear to be a few reasons. Periodontal disease treatment does not produce a finite long-term cure. It only controls or slows the continually ongoing disease progress. Dentists like to see a finished product that serves for a describable period of time. Periodontal surgery is usually painful and its effects are not always pleasant for the patient. It appears that the relative difficulty of accomplishing periodontal therapy is not an impediment to GP activity, but the unpredictable and often unpleasant results of periodontal therapy stimulate referral of those challenges to specialists. Most complex periodontal therapy is accomplished by periodontists. Fixed, removable, and implant prosthodontics and maxillofacial prosthetics are the subdivisions of prosthodontics. Almost all GPs accomplish some levels of fixed, removable and implant prosthodontics. However, almost all of the subspecialty, maxillofacial prosthetics, is accomplished by specialists. The procedures included in prosthodontics range from relatively simple to extremely complex. Almost all of the less-complex prosthodontic procedures are accomplished by GPs. I see many procedures that aren’t classified within the description of a specific dental specialty that are more complex and difficult to accomplish than most of the procedures in each of the recognized dental specialties. Examples include complex occlusion challenges, implant dentistry, and temporomandibular dysfunction. GPs and specialists alike accomplish these procedures. Do we need more specialties? After helping some of the currently recognized specialties to achieve specialty status and analyzing their characteristics, I feel that there are still more categories of specialties that have yet to be acknowledged. It is apparent from my observations expressed above that most of the procedures in dentistry are accomplished by general practitioners. It should also be apparent that there are some procedures that are either extremely complex or that require special knowledge. These procedures should probably be done only by those who have been educated with additional knowledge, who have developed additional clinical skills in specialty techniques and who have limited their clinical activity to repetition of these techniques. However, what about general practitioners who have sought out in-depth continuing education in a specific subject usually considered in the realm of a dental specialty? Should they be prohibited from accomplishing those procedures? Although I am a diplomate of the American Board of Prosthodontics, I have long taught practicing GPs, graduate students, and dental students to accomplish most of the procedures usually considered to be within the realm of a prosthodontist. I have a master’s degree in my specialty area, but almost everything I learned in that program has long ago become out-of-date. I no longer use most of it. My ability to accomplish current prosthodontic therapy has come from continuing education and years of observing my own clinical success and, yes, clinical failure. I consider a mastership from the Academy of General Dentistry (AGD), gained over many years of hands-on and seminar continuing education, to be as valuable as the formal masters degree I received in my specialty many years ago. In fact, when I consider the current nature of an AGD MAGD (Master in the Academy of General Dentistry), I recognize the highly significant value of such a designation. By law, general dentists can accomplish any procedure considered to be within the overall realm of dentistry. If a general dentist has received adequate continuing education in any of the procedures usually considered to be specialty procedures, and if that GP is accomplishing those procedures to the same standard as a specialist in any of the seven currently recognized specialty areas, in my opinion, that practitioner has every right to treat patients in the respective area. I have one suggestion for all of us: When you are considering a specific procedure on a patient, if you would not do that same procedure to yourself, I suggest referring the patient to a specialist. This simple rule has nothing to do with graduate school, board certification, degrees, membership in organizations or laws. It is related to the individual practitioner’s moral responsibility, knowledge, experience and education in the respective subject area. Specialty practice in dentistry is relatively well defined. However, the amount of therapy provided by general practitioners in each of the seven specialty areas varies significantly. General practitioners should evaluate their own education, knowledge and clinical skills in each specific procedure and make decisions relative to whether or not they should accomplish the procedure that is generally considered to be a specialty procedure.